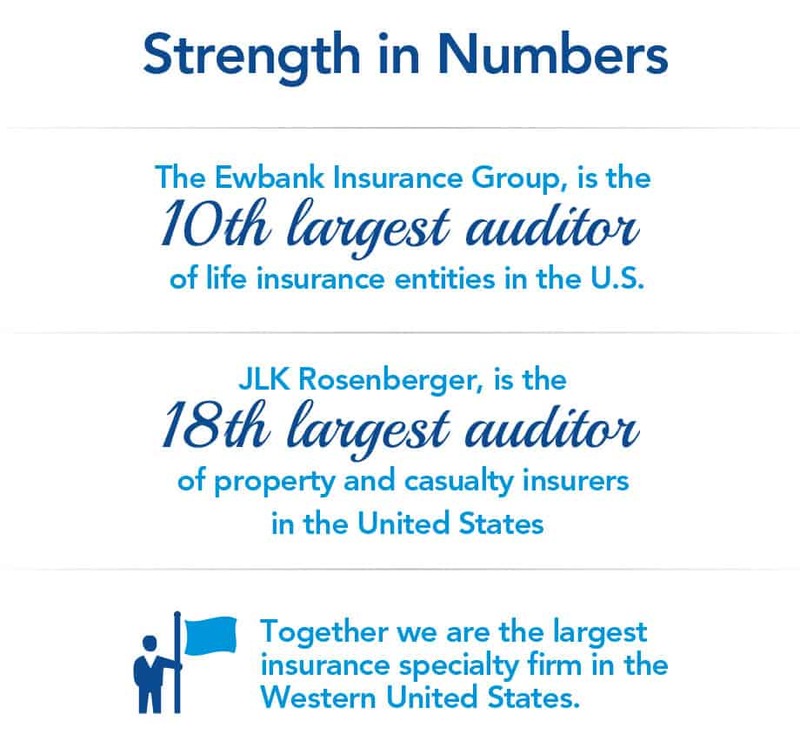 We’re excited to announce that The Ewbank Insurance Group, the 10th largest auditor of life insurance entities in the United States joins JLK Rosenberger, the 18th largest auditor of property and casualty insurers in the United States, to become the largest insurance specialty firm in the West. Our combined firms bolster our ability to guide clients through the regulatory, statutory and business challenges face by insurance companies. The combination of our firms will be effective January 1, 2016.